2. Take a flat shader brush (e.g. MAC 239) and pat Livin’ Lavish on to the lid. 3. Take a flat shader brush (e.g. MAC 239) and pat Decadent on to the outer part of the lid. Use the same brush to sweep Decadent slightly up and out to create a ‘v’ shape in the outer v of the eye. 4. Take a crease/blender brush (e.g. MAC 217) and sweep New Money into the crease. 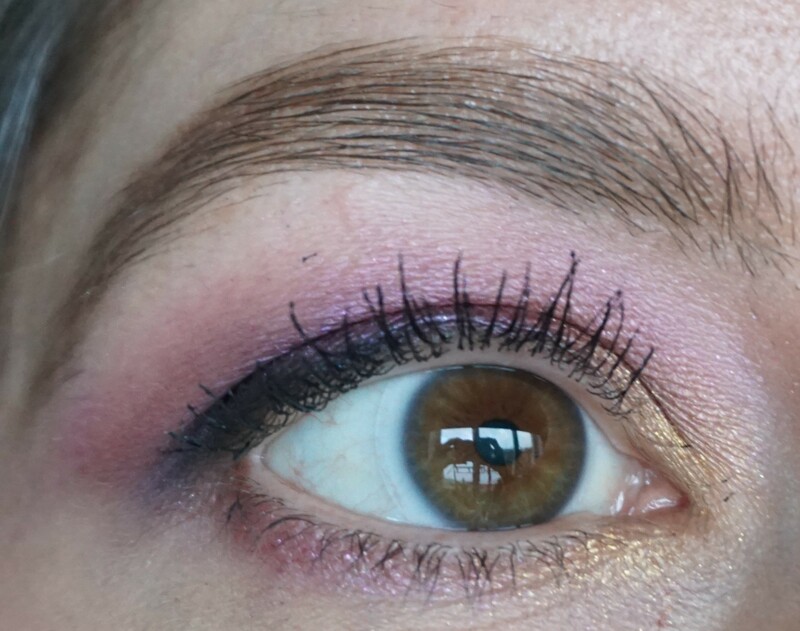 Use a windshield wiper motion to blend the colour into the crease. 5. Take a pencil brush (e.g. MAC 219) or a flat shader brush (e.g. MAC 239) and apply a little of Chocolate Gold into the inner corners of the eyes. 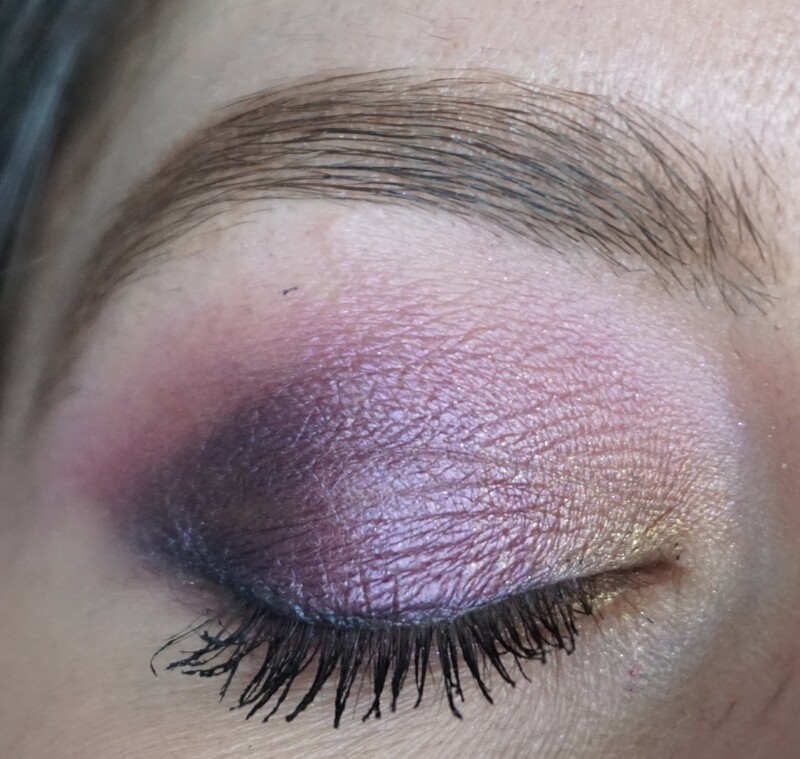 This step adds some brightness and some nice contrast to the purple and pink shades elsewhere on the lid. 7. Take an angled eyeliner brush (e.g. MAC 266) and apply Livin’ Lavish along the lower lashline. Use the same brush to apply New Money along the lower lashline, overlaying with Livin’ Lavish. You can also apply a little of Chocolate Gold along the inner lower lashline if New Money has covered it over. 8. Take an angled eyeliner brush (e.g. MAC 266) and apply Decadent along the upper lashline. 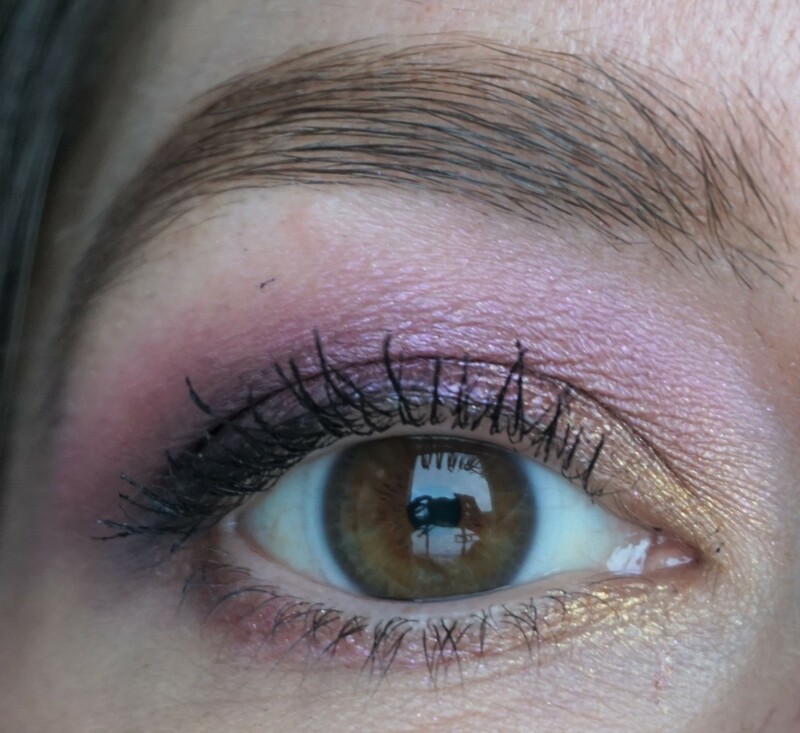 I used Decadent as an eyeliner as I wanted softer definition along the upper lashline. It also meant I could use just the one palette for my look. You could use a black eyeliner pencil or gel eyeliner if you want a crisper line.